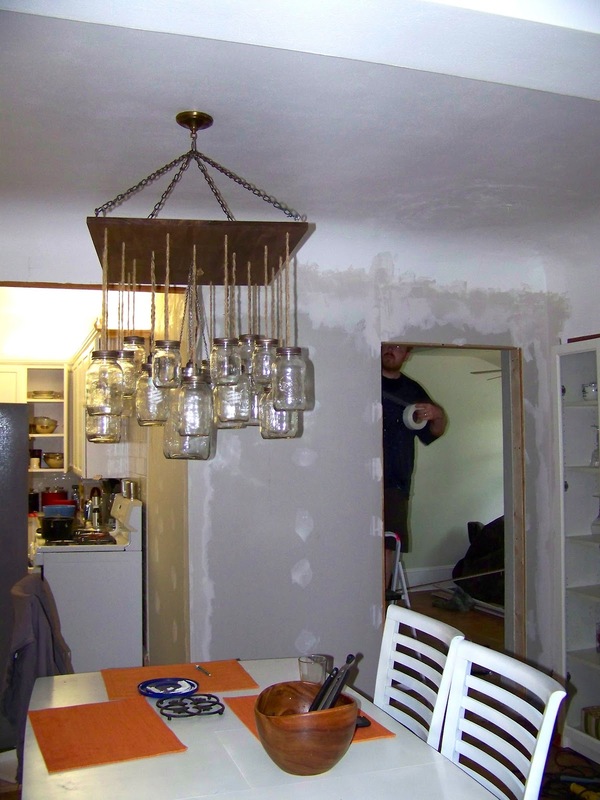 We are slowly putting everything back together after the wall was removed between the dining room and kitchen. 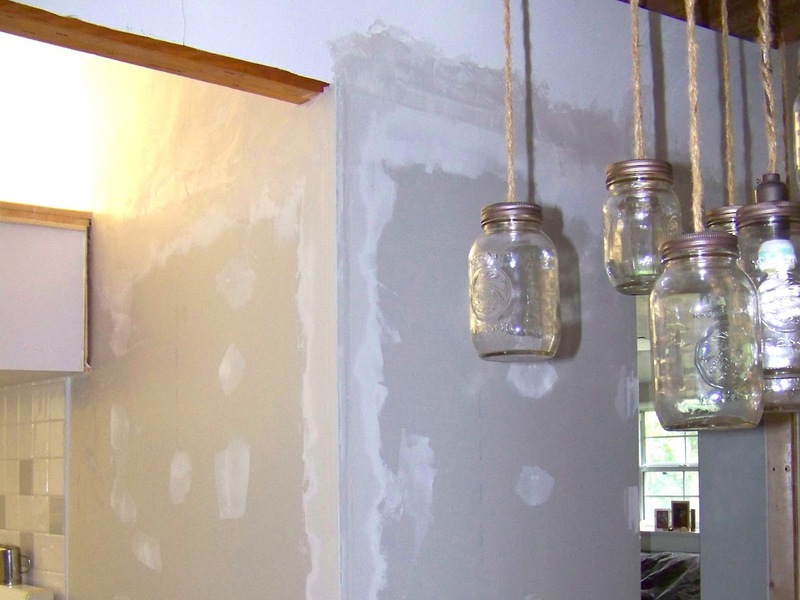 Drywalling is fairly straight forward if you have relatively new construction. 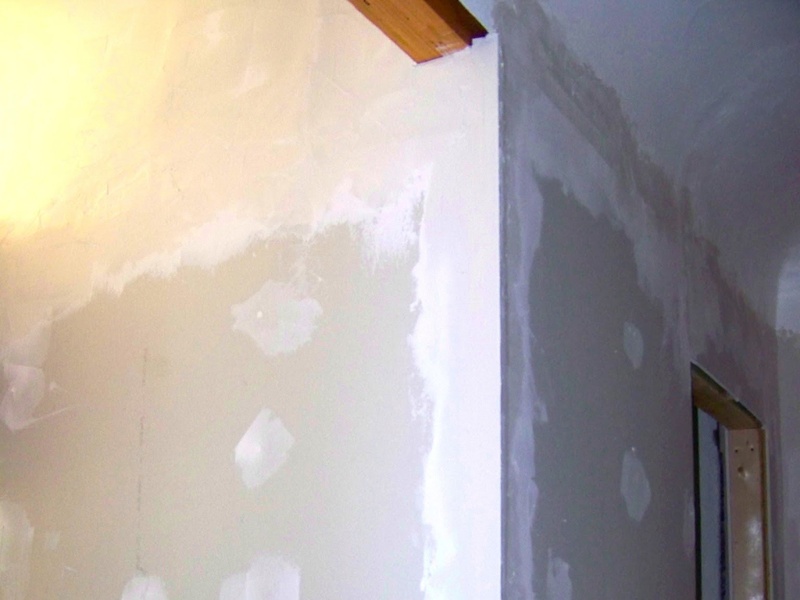 If you're like us, then it's a little trickier since new drywall is not the same thickness as plaster and lath. 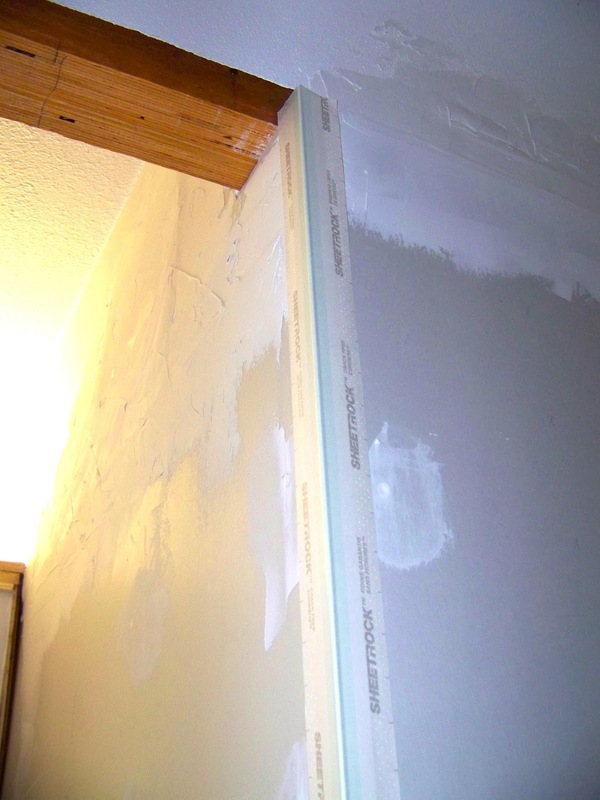 This means that in order to get everything line up nicely and not have any awkward bumps, you have to shim out the new drywall. It's a little annoying and time consuming (and Nate managed to lose a fingernail in the process this time hence no actual pictures of the shim process) but if you do it right, then you won't notice the transition from old to new. For the corners, we used a new product for us for this project. We've used metal corners before and just tape but this one combines the two. It has metal in the inside and tape that extends past the metal part. It is by far a favorite of ours now. You just put a layer of plaster down, push the corner piece into the plaster and then plaster on top of it using a putty knife to squeeze out any extra plaster underneath. 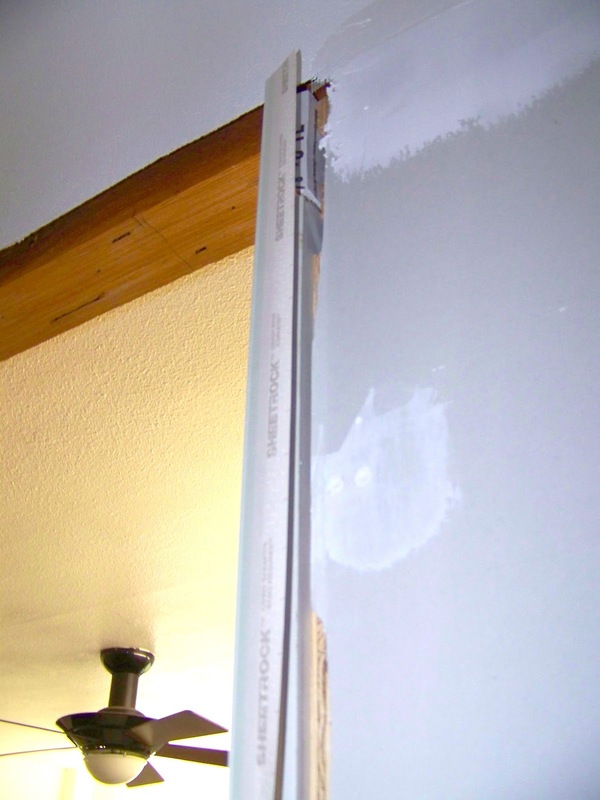 It doesn't require any screws unlike the metal corners so the edges lay much nicer and the corners are much studier than just tape. We also taped and plastered all the transitions between the old and new wall. Here's a wider view of our progress. It's really exciting since everyday the construction feel diminishes just a little bit more!